However, President, Indian Olympic Association Narinder Dhruv Batra felt that the ace shooter did right by questioning the situation regarding the prize money. Chandigarh: Haryana Chief Minister Manohar Lal Khattar on Saturday broke his silence over the war of words between ace shooter Manu Bhaker and Haryana Sports minister Anil Vij and said that the Youth Olympics Gold Medalist will get award money as per the rules of the department. For the unversed, Manu Bhaker on Friday took to micro-blogging site Twitter and questioned the state’s sports department about the prize money that was announced after she had won a gold medal at the Youth Olympic Games (YOG) Argentina three months back. Bhaker had tweeted, “Sir Please confirm if it is correct… Or just Jumla (sic).” “Someone in Haryana is really playing with Youth Olympic Games prize! It is really for encouraging or disheartening players…”, she wrote on Twitter. Haryana Sports Minister Anil Vij had announced a cash prize of Rs 2 crore for Bhaker after she had won a gold medal in Argentina last year. However, in a notification issued by Haryana’s Principal Secretary (sports) Ashok Khemka on December 27th as “Cash awards to sportspersons in individual events”, revealed the awarded sum as Rs 2 crore. Bhaker made her mark in shooting ranges across the world, winning multiple golds in the ISSF World Cup and Commonwealth Games, besides the top prize at the Youth Olympics last October. She hails from Goria village in Jhajjar. Early last year, sportspersons had locked horns with the Haryana government over a controversial order requiring them to deposit one-third of their income from professional sports or commercial endorsements with the state sports council. 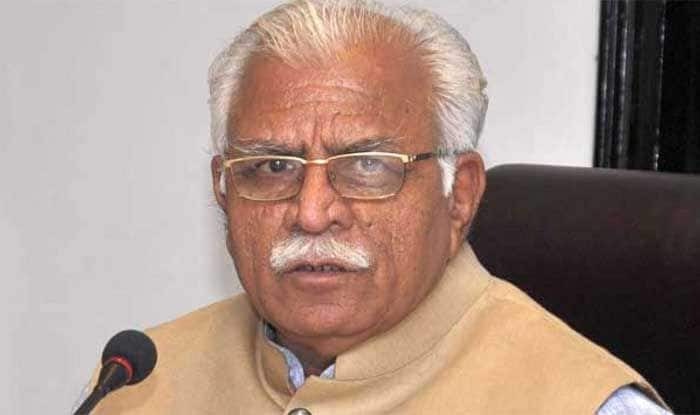 Chief minister Manohar Lal Khattar later suspended the order.